It might not always be obvious, but there are highly desirable smartphones that make a splash on the international scene, but don’t come to the West. Thankfully, that isn’t the case here. 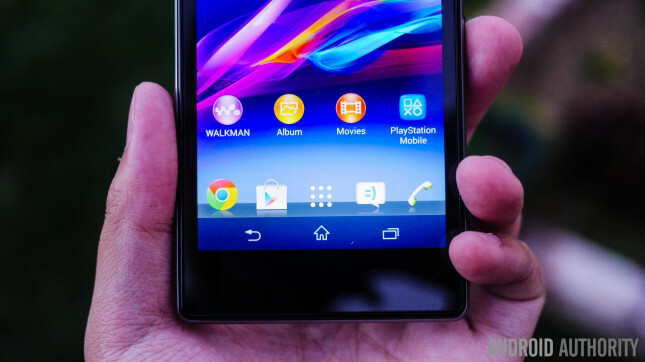 Thanks to their strong partnership with T-Mobile, Sony is bringing to the US their highly acclaimed flagship, the Sony Xperia Z1, in the form of the Xperia Z1S. 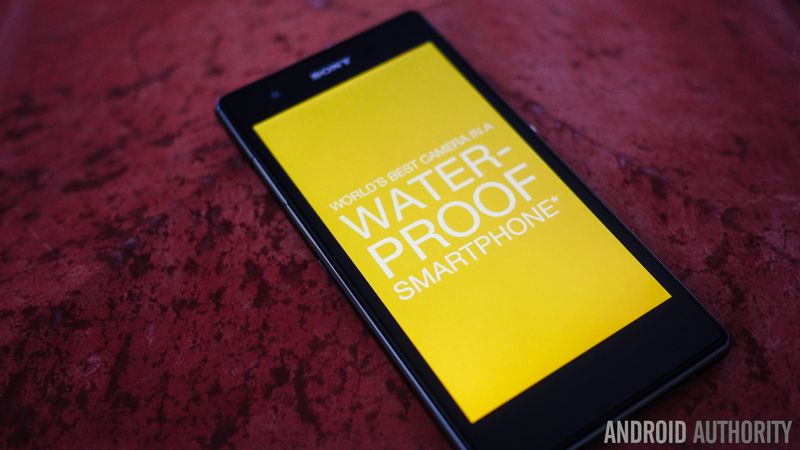 Here’s our detailed hands-on review of the Sony Xperia Z1S! For all intents and purposes, this is truly a Sony device. With its robust and highly angular design, this is a phone that has a dramatic appearance, and one that will garner interest from curious onlookers for its pronounced presence. It has a very premium appearance to it, and is a joy to look at. While it features the same glass finish all around, this time, Sony has opted for a plastic skeleton that wraps the phone in its entirety. There’s very little aesthetic differences between the two devices, with even fewer changes to the physical layout. As you can see from the image above, Sony has placed the headphone jack in the middle of the Xperia Z1S, as opposed to the left side, where it was found in the original Sony Xperia Z1. The button layout remains the same with the silver power button, volume rockers, and dedicated camera button on the right. And, for those that have used mobile devices as extensively as we have – it’s a nice touch to have a dedicated camera button for those moments when you need to grab a quick snap. This is one of the few water resistant devices that are available on the market today, so if you’re clumsy, or have a history of losing devices to water damage, or just tend to work and live in harsher environments, this is definitely a device you should consider. Somewhat interestingly, the Xperia Z1S is a smidgen longer than its Z1 brother, which isn’t significantly noticeable. Very few will be able to distinguish the devices, that is, unless they see the branded T-Mobile moniker on its back. You get the same great design, heft, and build quality found in the original Xperia Z1, and for those that have ever owned an Xperia device – they know that Sony has some of the best build quality of any manufacturer out there. Sony has put what appears to be the same display found in the original Xperia Z1 in the Z1S, and that’s not necessarily a bad thing. Packing a 1080p resolution into a 5-inch Triluminos display, backed by the Sony BRAVIA Engine, it looks absolutely fantastic head on. In our review, we found it comparable to what we would expect a small Sony TV to look like. You get rich colors, great response times, and a wide color spectrum. If we were to have a complaint, it would be simply not the display itself, but the bezel around it, which adds to the overall girth of the Xperia Z1S. This is only an issue because we’ve been spoiled by other devices that feature very thin bezels, and Sony has added a lot of real estate all around, especially on the top and the bottom, that could have been shaved off to make for a smaller phone overall. Toting the industry leading Snapdragon 800 and robust Adreno 330 GPU, the Xperia Z1S simply flies, and can handle everything you throw at it, and then some. 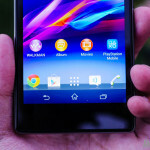 Sony’s UI is very true to Android; in a word, minimalistic, which we really like. Power is never in short supply and you’ll be multitasking and ripping through content, media, games, pictures, and more in record time. Despite its plastic skeleton, the Z1S comes with the same IP58 certifications that made the Z1 water resistant and dust proof. It’s deeply comforting to know that this device can withstand the trials of life, the bush, or even a good party. Want to use it in the shower? No problem. Take it hot tubbing? No worries there either. It’s something that we’ve come to appreciate so much that we look upon other manufacturers that don’t incorporate this into their design with increasing amounts of aspersion knowing fully well that they are capable of it too. In reality though – for those of you that demand more from your mobile device, or work in environments that are harsher than the confines of an office cubicle – you would be wise to take a close look at this one. As is the norm with Sony devices, expandable storage is included. Bolstering an already healthy 32GB of memory, microSD support is always a treat. The usual bevy of connections are included, along with support for T-Mobile’s 4G connectivity, which is quite fast and comparable, or even better, than Verizon in some parts in the US. Other interesting connectivity options include an FM radio, which is always a nice addition. Finally, it packs a 3,000 mAh battery, which keeps the device powered for a long, long time. Sony has one of the more adept development houses in the world of Android, and their power saving features baked into the Xperia UI will ensure that this device can go for well beyond a day with even heavy usage. As anyone that has an Xperia Z1 will tell you though – image quality is, for the most part, inconsistent, with low quality results that come from lackluster processing. In some images, darker tones tend to show up fuzzy and lack detail. In others, colors actually look alright most of the time, but the camera might not expose the scene properly, in either direction. While excellent low light shots with this low aperture lens should be possible, they won’t come out very detailed. We would have expected better from Sony in this regard, considering they make the image sensor that’s in many flagship devices on the market today. Make no mistake though – this is a very powerful camera, and Sony could fix many of these if it were to perform a proper update to the device, which we expect will happen shortly. This is a powerful camera; it just doesn’t bring the kind of quality you would come to expect from a company that created the full frame A7 and the great performing compact, the Sony RX100. 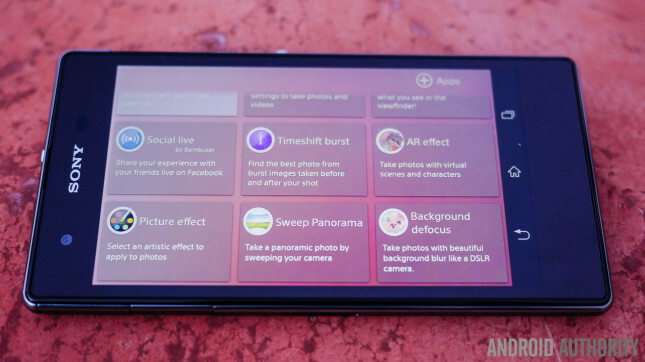 When it comes to software, the Xperia UI features a mostly stock operating system, with some additions. The most noticeable addition is “Small Apps,” which is found the Recent Apps screen. These are small overlay apps that cover a small area in your current workspace. You also get a host of applications that add Sony’s experience to Android, including Walkman for playing music, and Album for photos and videos. PlayStation Mobile does make an appearance, but unless your specifically looking for the apps that are included, you’re probably already enjoying the Google Play Store offerings. Because the Sony Xperia Z1s is available from T-Mobile, you’ll also find the usual carrier additions, that are mostly for account management, and some proprietary media consumption. The Xperia UI continues to work as well as it always has, thanks to its minimalist take on Android, and its penchant for putting in some useful additions, without going overboard. Gone are the days when you’d have to pick up a Sony smartphone at full price if you wanted one. On T-Mobile’s Simple Choice plan, you can pick up the Xperia Z1S for $0 down, with the addition of $22 to your monthly plan, over a period of 24 months, which works out to a total of $528 for the phone. 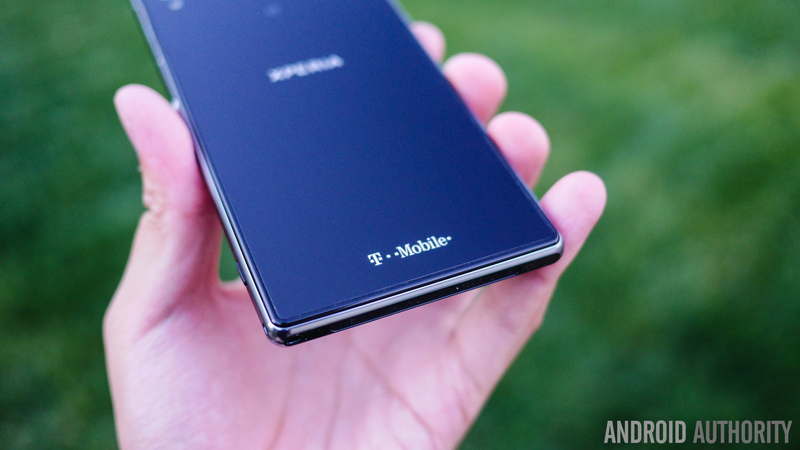 Considering the $0 down payment for this phone, T-Mobile is giving you a very easy entry into the full high-end Sony experience, with what’s one of best Android smartphones to release in 2013. And so, there you have it. What’s the takeaway here? 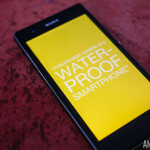 The Sony Xperia Z1S is bringing Sony into the United States market, where Sony’s presence has pretty much dwindled in the past couple years. The Sony experience fits right alongside the other top players in the game and here’s to hoping that they continue to grow in the American market. 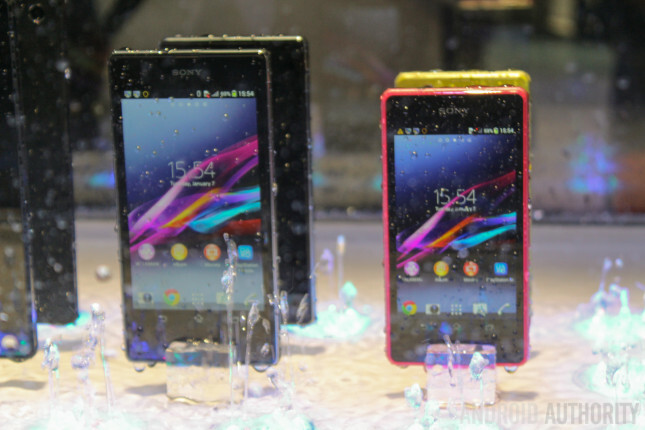 Let us know what you think of the Sony Xperia Z1S!